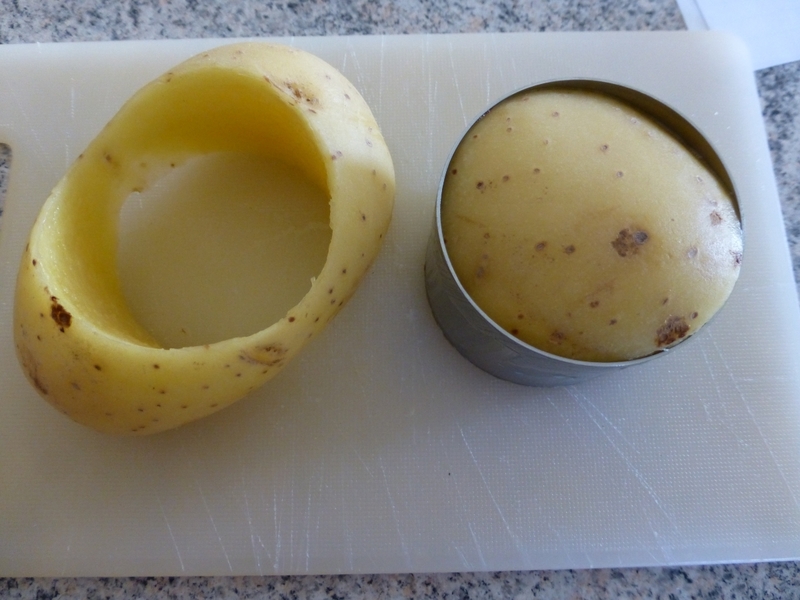 The first thing you need to is to cut out your perfect cylinders of potatoes. 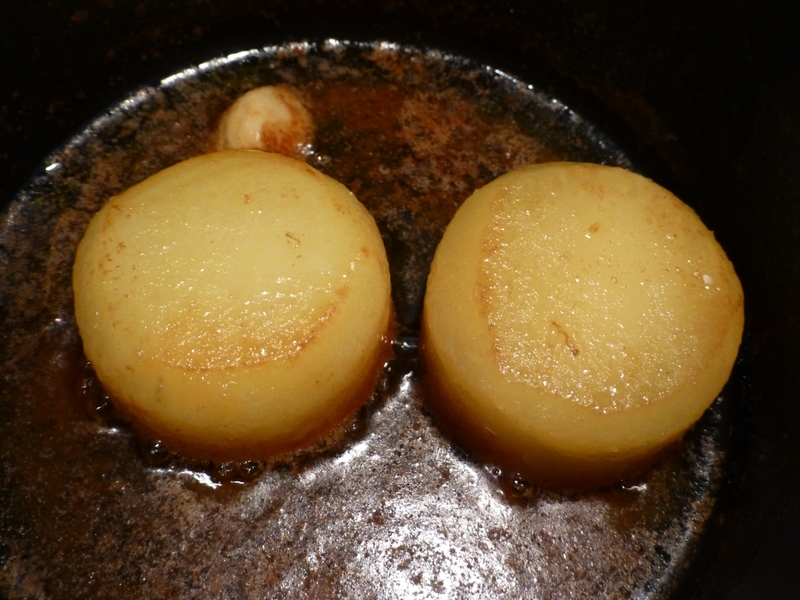 Start by cutting a flat base on one of the large flat sides of the potato. Put the cut side face down on the board, place the cutter on top of the potato and push it through to cut out your cylinders. Then trim the top side so it’s flat as well. Finally you should remove a small bit of the top and bottom edges to give them a slight curve inwards (see the picture above for the shape you’re after!). Alternatively, you can do away with the cutter and shape the whole thing by hand with a knife! 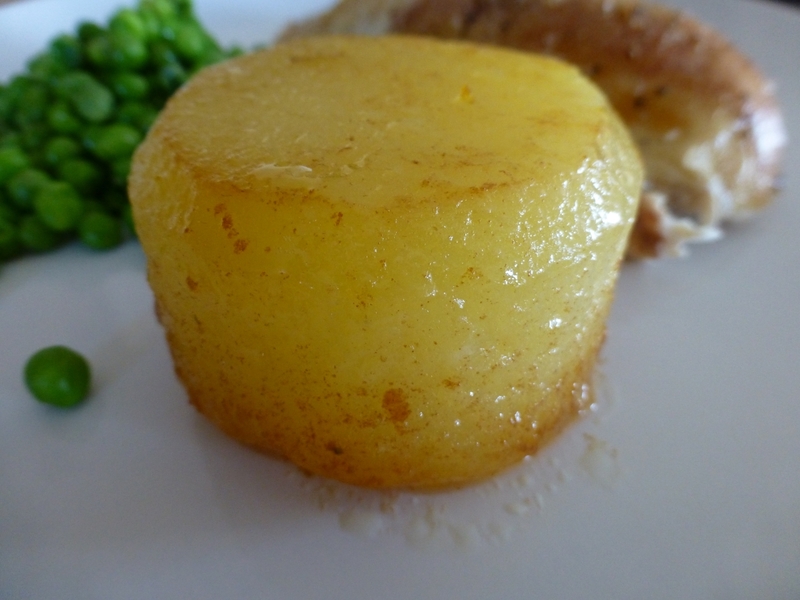 This is a bit trickier and probably won’t come out as neat, but you can use a smaller potatoes to start with and have less waste. Either way, you’re aiming for the resulting potato shapes to be about 100g each, mine were 6cm diameter and about 4 cm tall. If they do come out bigger then just adjust the cooking time upwards and increase the amount of butter and stock that you use a little as well (you don’t want it to boil dry!). 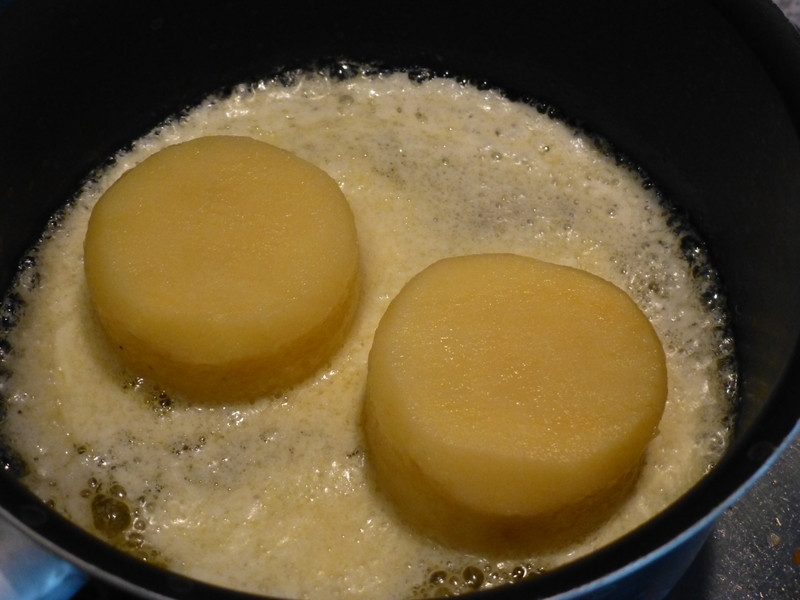 Melt the butter in the saucepan and when it starts to foam add the potatoes. Fry them in the butter for 5 minutes then flip them over and fry them for another 5 minutes. Other than the flipping, you shouldn’t move the potatoes at all. Add the stock, garlic clove and thyme (be carefull it will bubble and spit!). Bring the pan down to a low simmer then cover and cook slowly for 25 minutes before serving.